In 1969, Petra Hermillo arrived in Chilpancingo, Guerrero, accompanied by her job-seeking parents. They came from the municipality of Ahuacotzingo. Upon arrival, her father died. Her mother and her six brothers needed money (in reality, they needed many things) and, in order to be able to pay their rent, Petra’s mother saw herself forced to ´enlist´ her girls. In other words, she put them to work as domestic employees. Petra was nine years old. In her first job Petra was a cleaner and looked after an elderly woman. The food that she was given by her employer was terrible, even spoiled. She quit and moved to another house. Then to another and another. It was always the same or worse: they didn´t let her use the bathroom or they wanted her to stay the night. The treatment was degrading. If there were other children in the house (who were often the same age as Petra) she had to tidy the mess that they made while playing. And, to top it all off, the pay was monthly. Domestic Workers of the Network of Domestic Employees of Guerrero. One day Petra was invited by a friend to a talk about women’s rights. There she saw a poster which said: 22nd of July, International Day of Domestic Work. In that moment she felt enormous joy, as she had finally discovered that her work was important and that there were people talking about it. Petra asked where the poster had come from. It was from Mexico City. Then she asked who created the event. It was arranged by an organisation that defended the rights of domestic workers. This happened in the year 2000, when her maturity, understanding, and desire to fight for her rights, those of her sister, and of all women had become one and the same thing: a yearning for a fair life. Domestic Workers at the inauguration of the Solidarity Home. Petra went to various talks about domestic work and forged relationships with diverse groups. Some of her colleagues were scared that their patrons would find out about these meetings and fire them or retaliate. Nonetheless, they organised themselves and defined their identity. ‘I started to identify the power of words, to notice that there were forms I didn’t like, that weren’t right. We wanted to call ourselves domestic workers, not maids, not servants, not chachas or nannys’. In the same year 2000, Petra went on the Global Women’s March in Mexico City where she met other women who fought for the rights of domestic workers. They created a bond: a network of gender-based economy. They didn’t have money to travel but they just about managed to organise meetings, talks and educative events. They even went to the radio seeking to raise awareness about one of the most notable problems of their labor situation: they had never had legal representation. Inauguration of the Solidarity House which provides accommodation for domestic workers. Petra is now 58 years old. She is one of the founders of the Network of Domestic Women Employees AC. 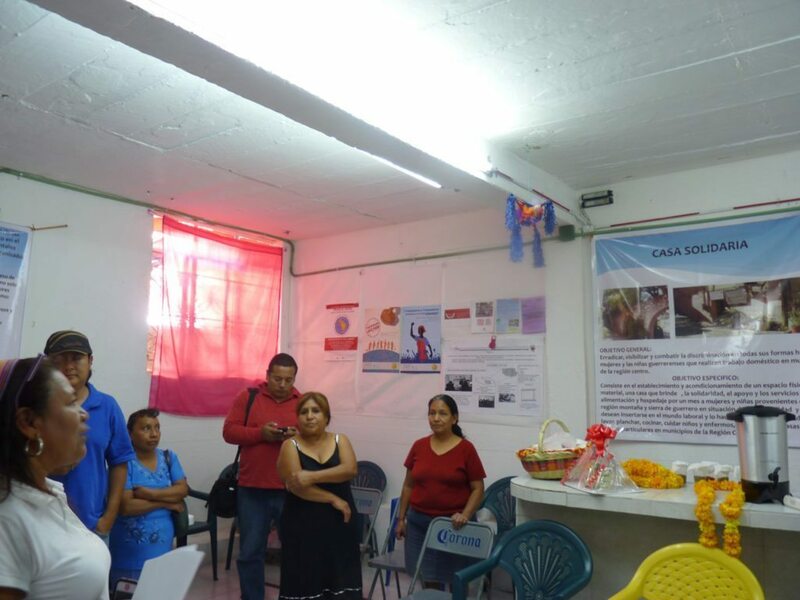 Her organization is now 16 years old and each day its presence in the state of Guerrero (where there are more than 57 thousand domestic workers) strengthens. Moreover, with the support of Fondo Semillas, the Instituto de Liderazgo Simone de Beauvoir and the program for the ‘Construction of Possibilities in Favour of the Establishment of Women’s Rights in Mexico’, financed by the European Commission, they are running the Awareness Program for Domestic Workers, where they teach people about rights, values, growth, self-esteem, the development of human capabilities, etc. Additionally, they run a solidarity house where they offer accommodation to those domestic workers that need it. 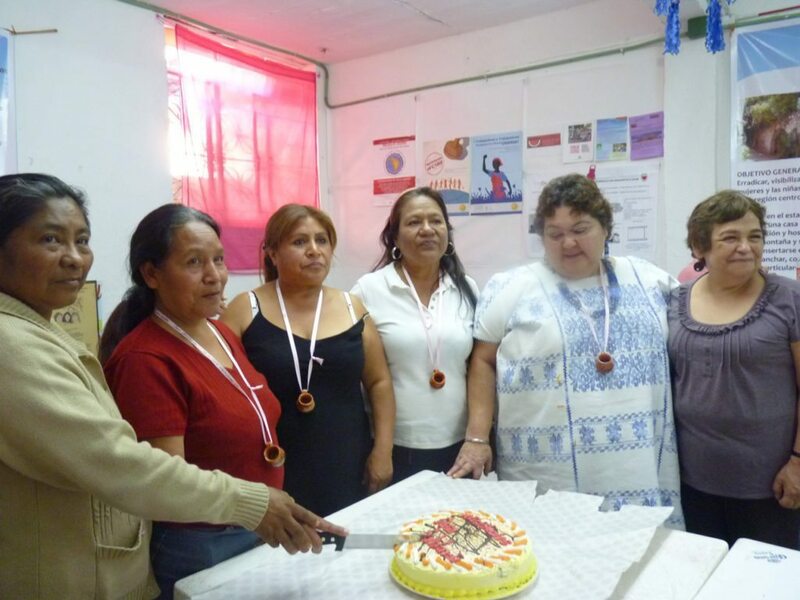 ‘Fondo Semillas greatly supports the development of domestic workers, their help has been invaluable’. 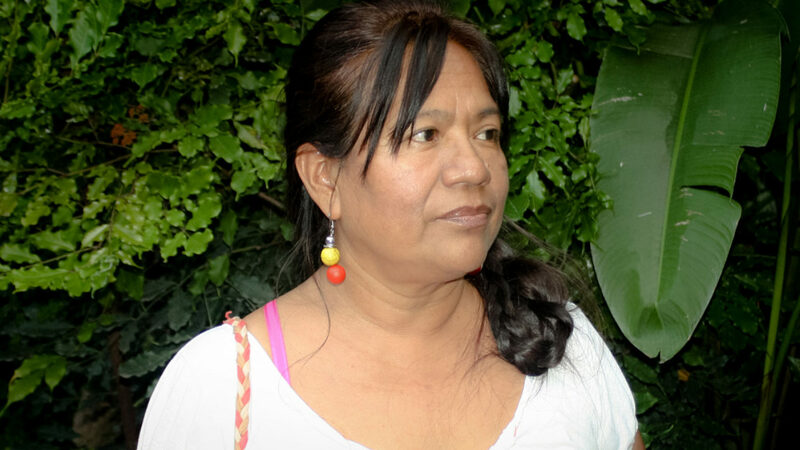 Petra is a pioneer in the fight for the rights of domestic workers, and her efforts remain important: to date, the Mexican government has not ratified Convention 189 of the National Workers Organization (OIT) in which the rights and responsibilities of domestic workers and their employers are established. Petra and her organisation persist in their efforts, maintaining pressure so that the issue will finally be recognised. 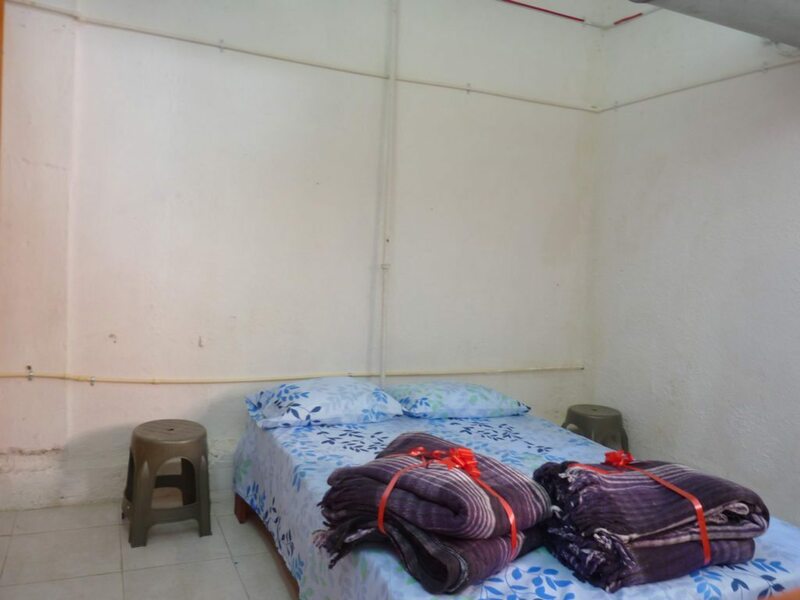 Domestic Workers that live under the protection of their communities can stay in rooms like this one. ‘The working conditions of domestic workers are topics that are barely touched upon in political or public conversations. It is 2017 and the conditions of some workers resemble slavery’. You can make more stories like this one possible. In accordance with the Inegi, 99% of domestic workers in Mexico work without a written contract. In Mexico there are 2.48 million people employed in paid domestic work, a statistic which represents 4.8% of the total number of employed people nationally. More than 90% are women (ENOE 2017). Close to 80% of domestic workers support one or two children. Many work in conditions that resemble slavery. Along with cleaning they care for people, cook, wash, iron, and do the shopping, among other chores, for exhausting stretches of time. Their salaries scrape the minimum wage and can even be below. Included in the group of people employed in domestic work are children under the age of 18, adults over the age of 60 and indigenous women – groups in especially vulnerable conditions. 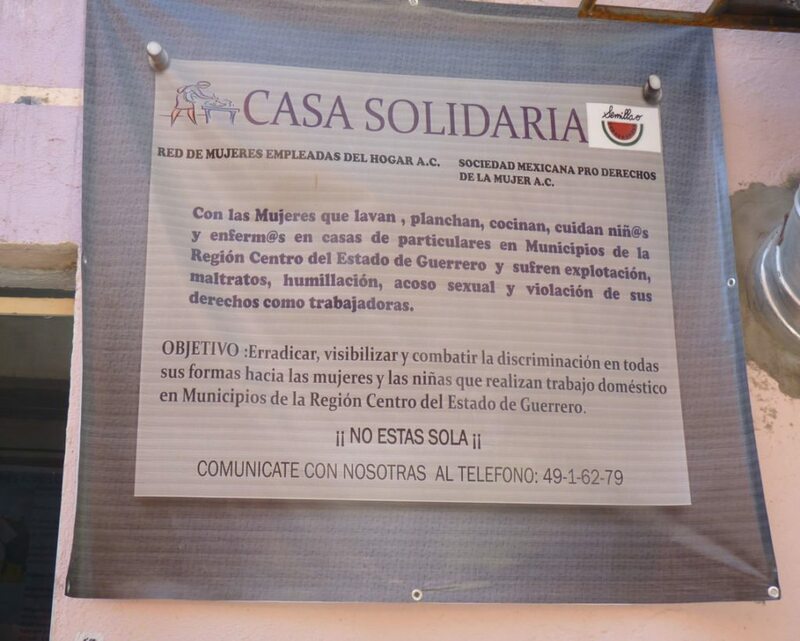 Since 2003, 11 female domestic workers have been assassinated in the Guerrero area.